Although you may not realize it, having a custom page URL structure is an important feature of your website. The URL is what you enter into your browser address bar to view a website page. Search engines prefer, and give higher rankings to websites where the URLs are ‘friendly’. Creating descriptive categories and filenames for the documents on your website can not only help you keep your site better organized, but it could also lead to better crawling of your documents by search engines. Also, it can create easier, “friendlier” URLs for those that want to link to your content. Visitors may be intimidated by extremely long and cryptic URLs that contain few recognizable words….Users would have a hard time reciting the URL from memory or creating a link to it. Also, users may believe that a portion of the URL is unnecessary, especially if the URL shows many unrecognizable parameters. They might leave off a part, breaking the link. Some users might link to your page using the URL of that page as the anchor text. If your URL contains relevant words, this provides users and search engines with more information about the page than an ID or oddly named parameter would. So it becomes obvious pretty quickly that you want a custom page URL structure. 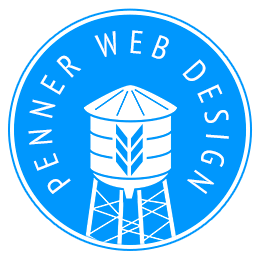 Penner Web Design makes sure that these kind of issues are taken care of so that you obtain good rankings with the major search engines.